If we haven’t already, most of us will probably go through a few dozen MP3 players in our lifetime. Dropped, stepped on or just plain left in the cold, their convenience lends to their flimsiness. One brand in particular is notorious for it’s short lifespan (we won’t say any names.) While marketing their new MP3 player in New Zealand, Sony put a new spin on the durability factor. They insisted that their new NWZ-W270 (try saying that five times fast) MP3 player was waterproof at its initial launch. This packaging proves they’re serious. 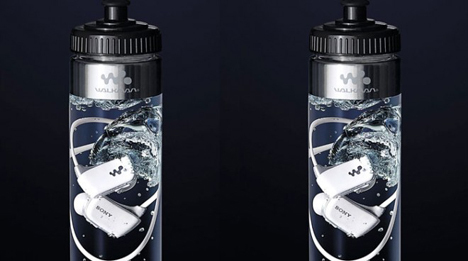 Delivered submerged in a bottle of water, the Bottled Walkman is a marketing ploy created by Auckland advertising firm DraftFCB. 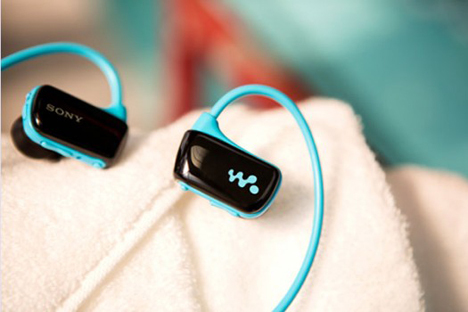 The Bottled Walkman is dispensed in vending machines located in specially selected locales like gyms. Its video ad puts an emphasis on fitness, and its pretty cool to see someone swimming laps while wearing earbuds.